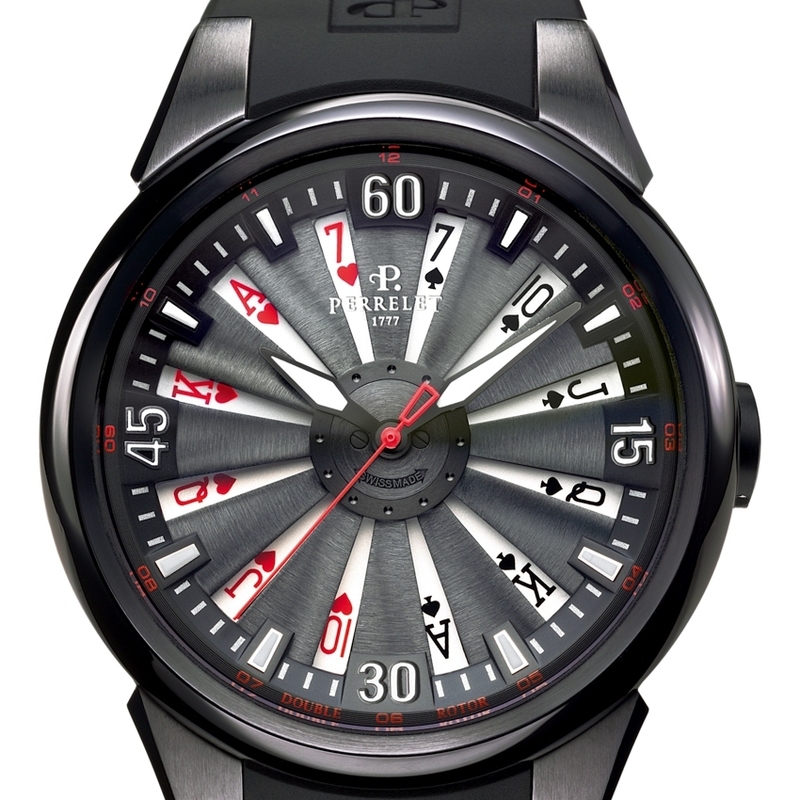 Perrelet deals a winning hand with its signature double-rotor watches, and rewrites the rules of the game with the Turbine Poker. 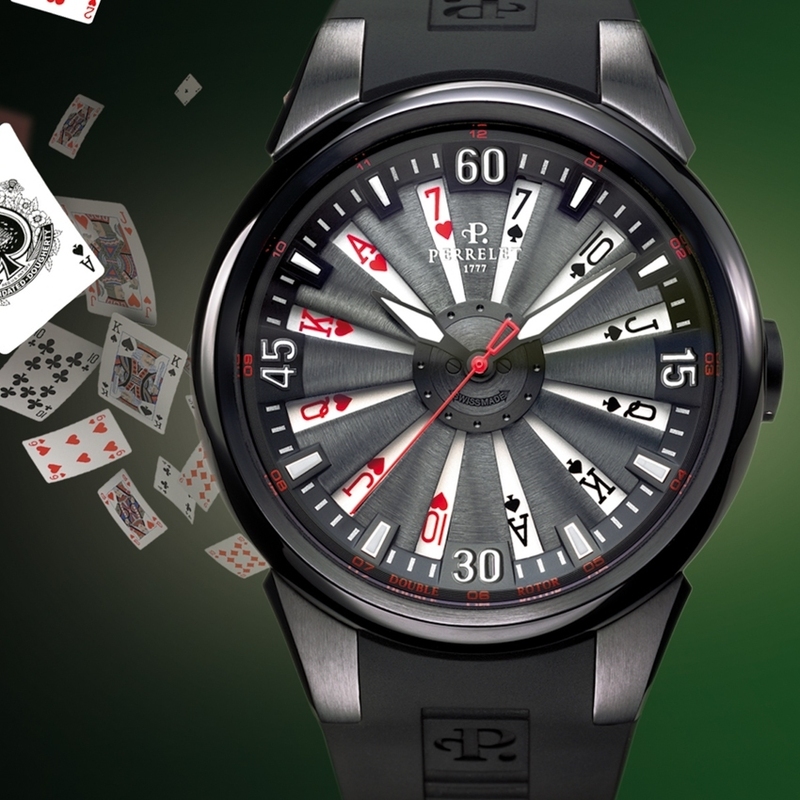 The 12 spinning blades allow tantalising glimpses of the cards underneath, while a flick of the wrist is all it takes to call your opponent's bluff! 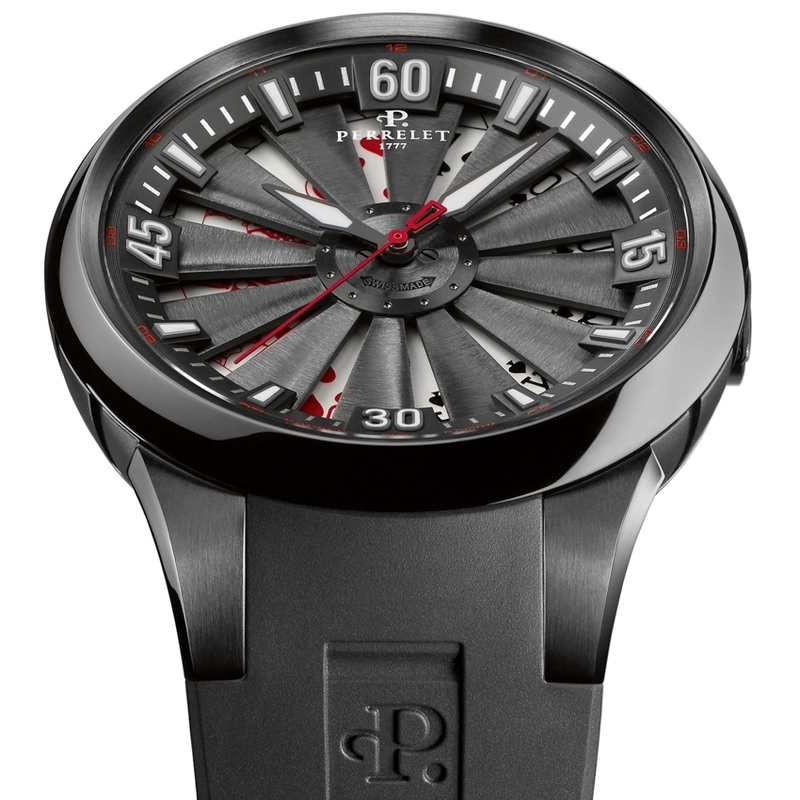 This statement watch comes with three versions of the dial. One deals a winning pair of sevens. A second deals a pair of sevens and two royal flushes, one with hearts and one with spades. A third deals two full suits: jacks over sevens and kings over sevens. 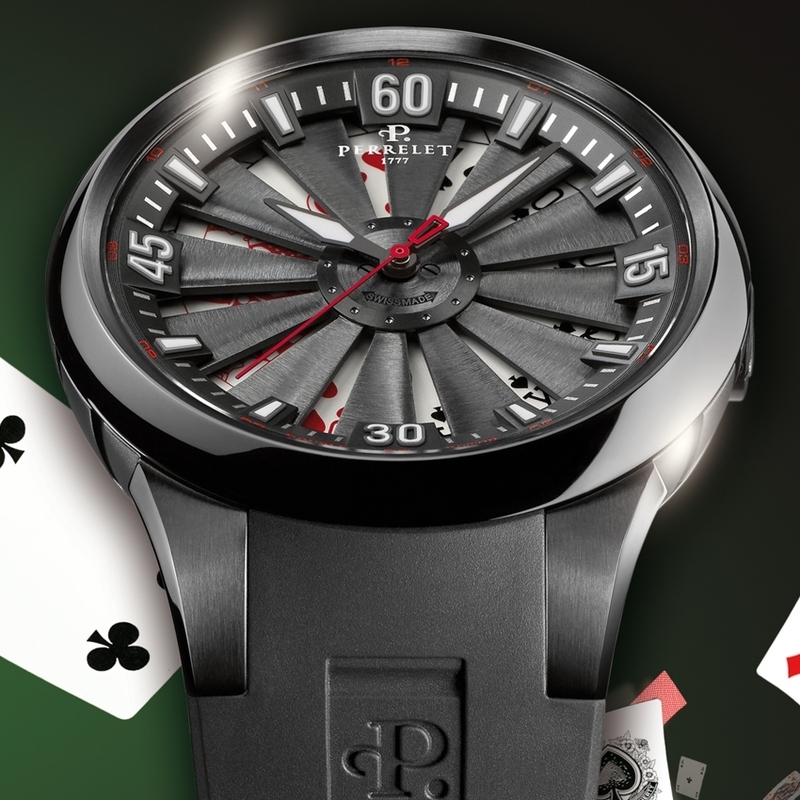 When the wrist is still, the turbine spins to a halt and finally reveals the cards. Winner takes all!